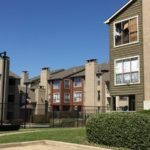 Raizner Slania has filed a lawsuit on behalf of several Houston residents against the U.S. government after their homes were flooded by the collection of floodwaters in the Addicks and Barker reservoirs in the aftermath of Hurricane Harvey. When the reservoirs were constructed, they were designed to hold large amounts of rainwater and they have spillways at fixed elevations. The Addicks reservoir has a spillway at 108 feet and the Barker reservoir has a spillway at 104 feet. The reservoirs have design pool capacities of 115 feet for the Addicks reservoir and 106 feet for the Barker reservoir. All land behind the reservoirs under these elevations is potentially inside the reservoirs and at risk for flooding. Realizing the reservoirs would occasionally need to store massive amounts of floodwater, the United States government began acquiring property inside the reservoirs in the 1940s. However, the government did not purchase all land inside the reservoirs. Instead, the government only purchased land up to 103.2 feet in elevation behind the Addicks reservoir and up to 95 feet behind the Barker reservoir. The government did not purchase or otherwise obtain any right in land between 103.2 feet and 115 feet in elevation in the Addicks Reservoir or between 95.5 feet and 106 feet in elevation in the Barker Reservoir, even though it was likely floodwaters would need to be stored on private property within the reservoirs at those elevations. 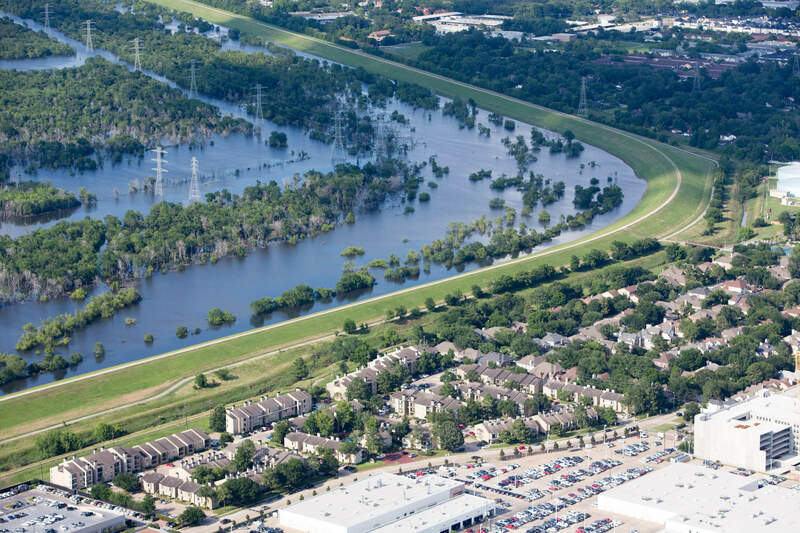 In the aftermath of Hurricane Harvey, the Addicks and Barker reservoirs captured more than 350,000 acre feet of water to prevent flooding downstream of the reservoirs. The water level in the Addicks reservoir reached 109.1 feet during Hurricane Harvey. Even though the government only owned property up to, at a maximum, 103.2 feet, they intentionally impounded floodwaters on private properties above 103.2 feet. The water level in the Barker reservoir reached 101.5 feet during Hurricane Harvey and its aftermath. The government only owned property up to, at a maximum, 95.5 feet, but allowed floodwaters to be stored on properties above 95.5 feet. The floodwaters stored in both the Addicks and Barker reservoirs exceeded the boundaries of the property owned by the government. Affected property owners at these elevations did not consent to the use of their property for storing floodwaters. As a result, thousands of properties upstream of the reservoirs were flooded in many feet of water. In addition to flood damage, property owners are left with an increased risk of future flooding and will be unable to rebuild their properties without incurring significant additional expenses. Property owners who wish to transfer or sell their property will likely struggle to do so, or will be unable to do so without taking a significant loss because of the decreased demand for property in the area and the increased difficulty in obtaining flood insurance in the area. The government allowing floodwaters to be stored above its own designated property boundaries constitutes a taking of private property by the government for public use. Under the Fifth Amendment, property owners must be fairly compensated for the taking of their property. If your property is located upstream of the Addicks or Barker reservoirs and was flooded during and after Hurricane Harvey, you have a right to receive just compensation. 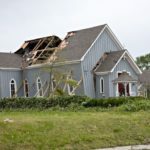 The Hurricane Harvey lawyers at Raizner Slania LLP are working with property owners across Houston to help them get them the compensation they are legally entitled to. Call us today for a free consultation to discuss your claim.